Chicago Peet's Employees are Organizing — Could the East Bay Be Next? 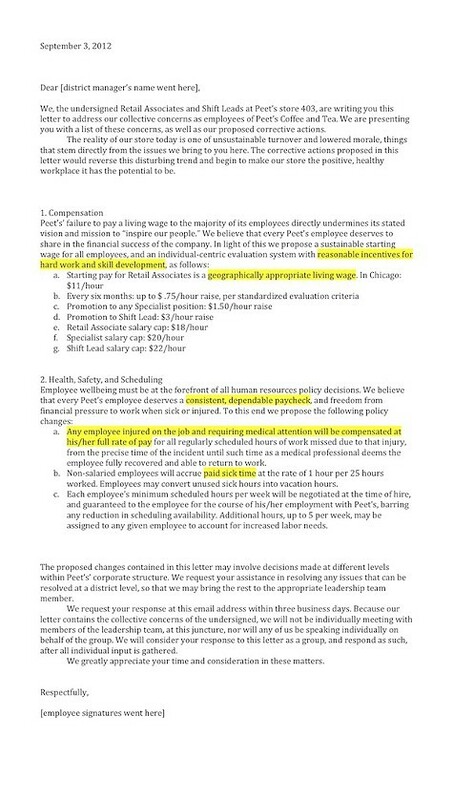 A group of employees from Peet's Coffee's Chicago store have launched a public campaign to improve working conditions at their store and, hopefully, throughout the company — and there's a chance management might actually be listening. The organization, aptly titled Peet's Workers Group, sent a formal request for living wages and better benefits to Peet's' corporate brass earlier this month; representatives from the group say their request was met with much more interest than they expected, and a meeting is set for next Tuesday, September 18. Of course, there's no telling how that meeting will go, but employees are optimistic. "This is a step, and we'll see how it goes, and if it doesn't go well, we'll address it as it happens," said one employee — who, for all the optimism, still asked to be kept anonymous for fear of retribution from his higher-ups. About a year ago, I wrote a cover story detailing the changing corporate culture and questionable labor practices at the Berkeley-born coffee chain's East Bay locations. The dozen or so current and former employees I spoke to for that piece reported increasing corporate pressure, worsening morale, a high on-the-job injury rate, and miserable pay — and all that extends to Chicago, according to the employees I talked to over there. "The reality of our store today is one of unsustainable turnover and lowered morale," reads the letter Peet's Workers' Group sent to Peet's' human resources department, the Chicago district manager, and Peet's CEO Pat O'Dea — on Labor Day, no less. "Peet's' failure to pay a living wage to the majority of its employees directly undermines its stated mission and vision to 'inspire our people' ... "We believe that every Peet's employee deserves a consistent, dependable paycheck and freedom from financial pressure to work when sick or injured," the letter continues (read it in its [slightly blurry] entirety below). "This is really about the rhetoric of the company versus the reality," said the anonymous employee I spoke to. "Our wages are just above the bare minimum" — starting at $8.50 an hour, according to employees, which is 25 cents above Illinois minimum wage — "and we're not protected against schedule changes. This is a company that's known for being a quote-unquote 'good' company but as employees we're kind of in the blind spot." When I was reporting my story, employees told me they were thinking about organizing, but those efforts appear to have fizzled. The Chicago group hopes that its work — and the fact that it's been met with some measure of open ears from management — will inspire employees in other parts of the country to take action: "We need to make our campaign huge in these next two weeks, especially in the Berkeley area, at the heart of Peet's!," representatives wrote in an email. 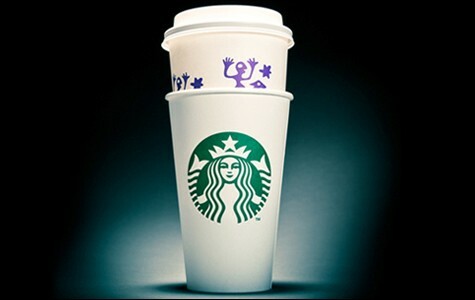 "We want every customer of Peet's to know that Peet's really is Starbucking itself, and that we have officially challenged them to change course." Thus far, the employees have set up a Facebook page and a blog, and tell me they've garnered support from some local academics as well as, most notably, some representatives from Chicago's striking teachers' union. There'll probably be much more to report after the meeting on Tuesday; in the meantime, Peet's Workers' Group strongly encourages Bay Area Peet's employees to get in touch via Facebook.